In the world of cryptocurrency trading, eToro is recognized as a key player, but that’s not all it is. For over a decade, eToro has headed the fintech revolution and has gradually built up its reputation to become the world’s leading social investment network that also offers cryptocurrency. eToro started as a general trading platform, but has kept up with growing demands of the market and changing trends. Therefore, it chose to add cryptocurrencies and other trading instruments to its arsenal. Today, you will discover that eToro is being used by over 6 million traders, which has earned it the title of industry leader. Even before the introduction of cryptocurrency, eToro was launched in 2007 by three entrepreneurs who had the main goal of making trading more accessible, regardless of location. In addition, they wanted to reduce the dependency of traders on financial institutions such as banks. They started eToro as an online trading platform that boasted an intuitive interface and graphs for depicting financial instruments. 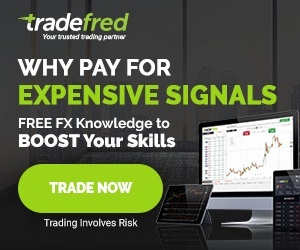 The trading platform, Web Trader, was launched by eToro in 2009, which came with a wide array of professional tools for traders of varying levels of skill. 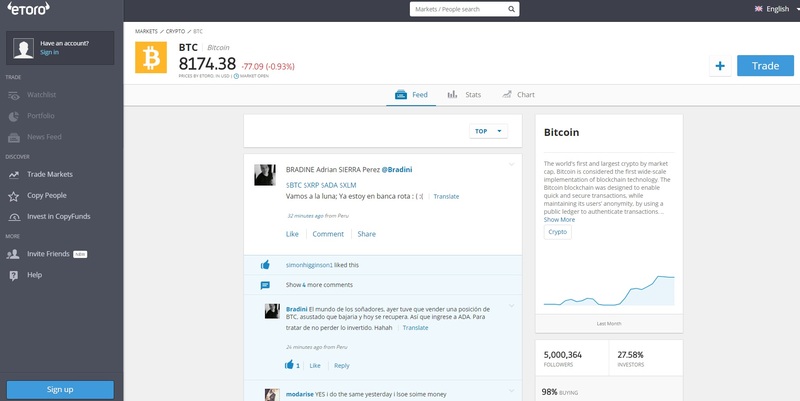 OpenBook was a big step that was taken in 2011, which was the first social trading platform worldwide. It comprised of the CopyTrader feature, something that was new at that time, and allowed new traders to copy successful ones. eToro already had commodities and currencies available on its platform and it extended its range of assets in 2012 with the addition of sticks. In 2013, the eToro mobile app was launched for both iOS and Android users, which helped the platform in expanding its reach. This is also when eToro stepped into the world of cryptocurrencies and made it possible for traders to trade Bitcoins through CFDs. The interface was updated by the platform in 2015 to offer a more intuitive and innovative experience. eToro added CopyFunds in 2016, which were managed portfolios bundling top traders or various assets within a market strategy. These are usually driven by machine-learning engines for maximizing returns. Eventually, in January of 2017, the platform added support for trading cryptocurrencies and it started with a host of popular cryptocurrencies that included Litecoin, Ethereum and XRP. As compared to other platforms, the supported cryptocurrencies on eToro may come off as limited. This is mostly because it is a general trading platform rather than one solely dedicated to cryptocurrencies. Some of the cryptocurrencies you can trade on eToro include Ethereum, Bitcoin, Litecoin, Ethereum Classic, Ripple and Bitcoin Cash. One of the main features that distinguish eToro from the horde of other platforms out there is the sheer number of trading and investment options available. There are a number of ways for investing and trading and this is a huge benefit because traders can now use the same platform for trading traditional assets as well as fulfilling their cryptocurrency trading needs. Another feature that makes eToro unique is its social elements. 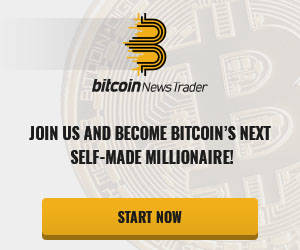 CopyFunds is an excellent example as is CopyTrader and also the Popular Investor Program. The good thing about eToro is that it doesn’t just aim to provide traders with a platform for investing, but also aims to educate them. It comprises of a plethora of tools that can help people in learning how to trade traditional assets and can be immensely useful in helping traders expand their portfolio instead of just being limited to cryptocurrencies. When people register on eToro, they are able to use ‘virtual money accounts’. These have $100,000 that can be used for practicing strategies and skills before you take the risks with real money. Other than that, eToro also provides traders with a multitude of tools that can be helpful during the trading process like an economic calendar. All traders have to do is input the time zones and dates they want to look at and the assets you are interested in trading. The calendar will then show you how certain events can impact your assets. Moreover, the platform also provides trades with regular market analyses in extensive details. You can also get quick overviews, which makes it easy to utilize the information that seems relevant to your activities. A contract for difference, or CFD, is a kind of derivative trading. Investors can use a CFD for speculating on whether the rapidly-moving global financial markets will fall or rise. This can be done with fiat currencies, indices, commodities, treasuries, shares and also cryptocurrencies. When it comes to CFD trading, you should note that it doesn’t include the buying and selling of the asset underlying it i.e. cryptocurrency in this case. Instead, a certain number of units for that instrument will be bought or sold, depending on your prediction of whether the price will increase or reduce. If the movement is in your favor, you get multiple CFD units you already bought or sold. If it moves against you, it leads to losses so you need to exercise caution. Cryptocurrency and CFD trading go hand in hand on eToro. As mentioned above, eToro first entered the cryptocurrency world by enabling Bitcoin trading via CFDs, which made it one of the early players in the crypto world. Actual cryptocurrency trading is now offered on eToro, but CFD trading also continues to play a main role because many of the trades on the platform involving cryptocurrency are still CFDs rather than the actual asset. As far as fees is concerned, eToro charges you when opening a position and there is a minimum list of spreads for every cryptocurrency, but there is no guarantee for these rates. This is due to the fact that the spread varies based on market conditions and liquidity. eToro is also very easy to use and available 24/7 due to the nature of cryptocurrencies. There are multiple deposit and withdrawal options supported on eToro and the security offered is also comprehensive. Also, eToro is fully regulated and adheres to guidelines outlined by CySEC and FCA, which makes it a safe trading platform. eToro AUS Capital Australia Pty Ltd. is also licensed in Australia by the Australian Securities and Investments Commission (ASIC).